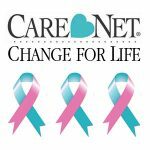 We raise funds for Care Net Crisis Pregnancy Center of Frederick through the Change for Life Campaign each spring. Our ladies assemble birthday cake kits for the shelter for abused women. We have also donated coats in the winter to the shelter. Our outreach to local community is always open for more ways to serve those who are closest to us.